New FTC 'Do-Not-Track' Recommendations: Clueless? Will it Take a Law to Protect Online Privacy? 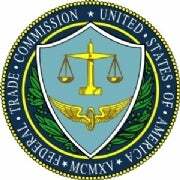 At first glance, the FTC’s guidelines regarding policy seem rather benign. They state that companies should build in privacy protection at every stage, including limited collection and retention of data, and procedures for protecting accuracy. Also recommended: Consumers should have a do-not-track option, and companies should disclose details about what data they are collecting, how they’re using it, and provide customers with access to the data collected about them. But security and privacy experts argue that the guidelines are not benign. Daniel Castro, senior analyst at the Information Technology and Innovation Foundation (ITIF), a Washington, D.C.-based think tank, issued a statement calling the recommendations “misguided,” saying, “The new report shows the FTC still does not understand the fundamental economics of the Internet. Consumers should have options to protect their privacy, but there are important trade-offs and costs in creating those protections. The FTC's recommendations would create economic burdens that could stifle the efficiency and innovation that consumers also want from the Internet." Although characterized as only "best practices," the report's recommendations may be construed as federal requirements.